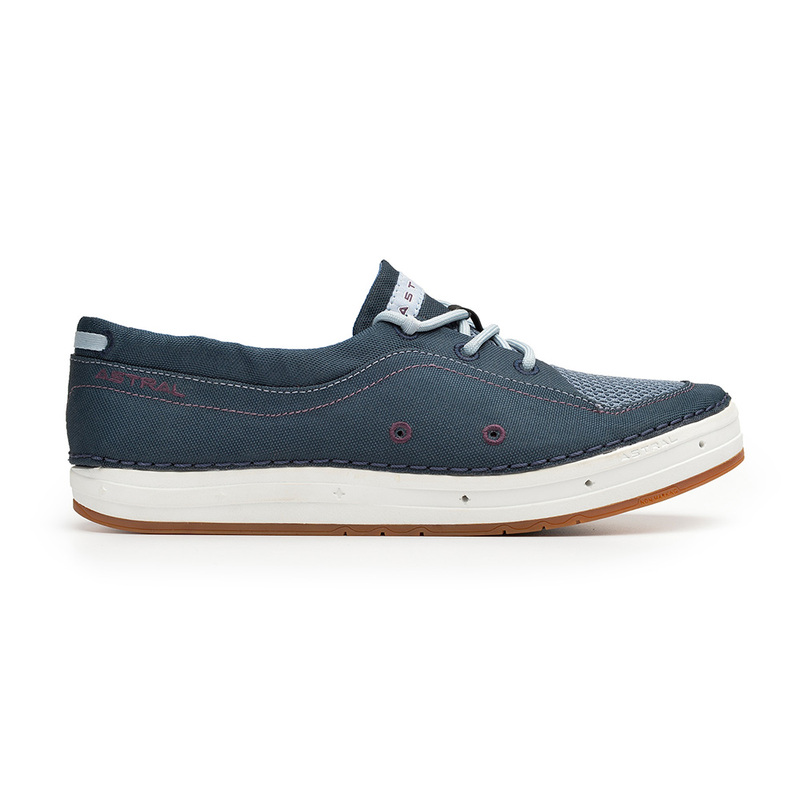 "Our take on the essential boat shoe, the Porter brings modern materials and performance features to the classic silhouette. Amazing grip, sand drainage, ventilation, and a natural foot bed combined with durable, colorful canvas uppers to provide the perfect balance of performance and style. Uppers: Hydrophobic Canvas with 2mm Airmesh at tongue and vamp for ventilation. Slit at heel for sand drainage. 210D nylon liner, water resistant shoelaces. Midsole: Balanced Geometry EVA foam with drainage ports at forefoot. Outsole: G.15 high friction G Rubber compound with razor-siping and maximum surface contact, ideal for boats. Foot to Ground Distance: 17mm heel, 16 mm ball. Fit: True to size "